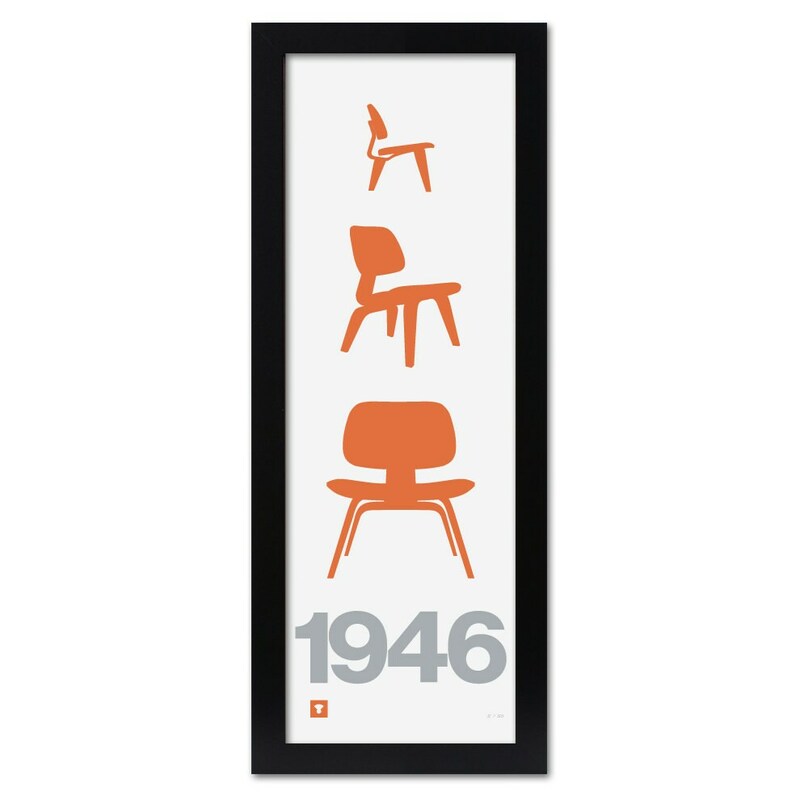 "Eames 1946" is a Medium Control original screenprint art print. This print is signed & hand screenprinted by the designer, Tommy Kronquist. Hand Screen Printed; Limited Edition of 50; Signed & Numbered; Size: 4x12"; Fits perfectly into a standard 11x14" frame as float mounted print; Paper Color: Silver Lake Gray; Shipped flat in a rigid mailer. 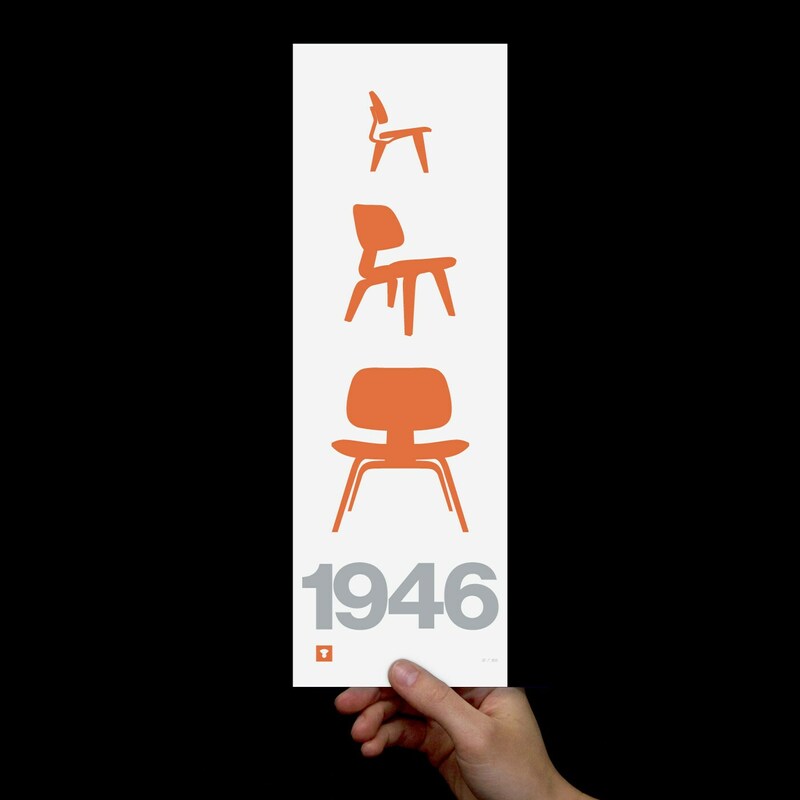 In 1946 the Eames studio released the first LCW (lounge chair wood). 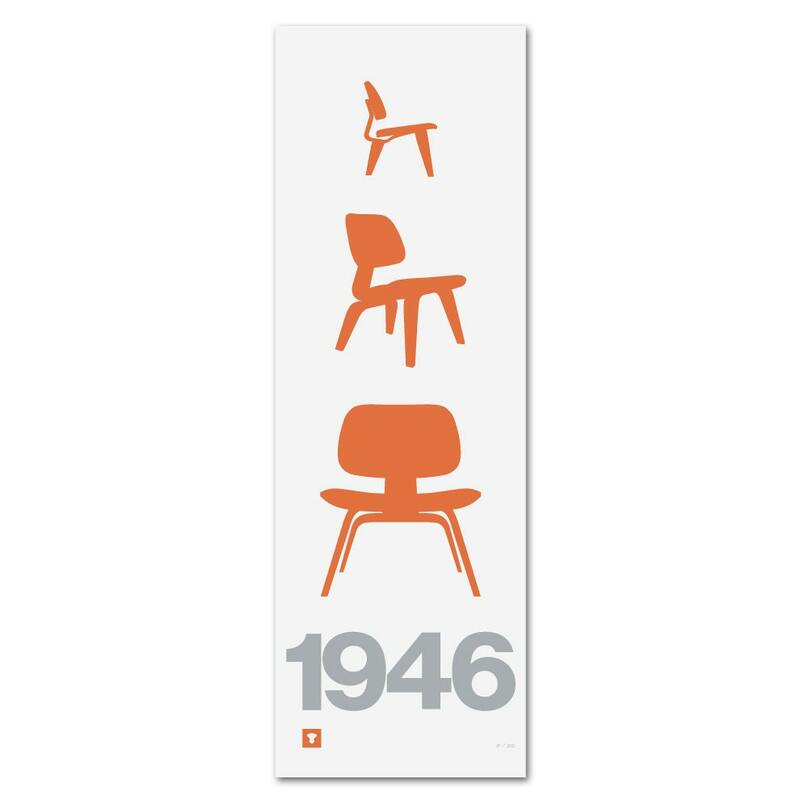 The chair has since become an iconic piece of mid-century design. However, it represents much more than solely a chair. The Eames studio was a multi-disciplinary studio which explored everything from furniture design, to film, to architecture, to toys. A true inspiration for The Medium Control; where we strive to explore and control a variety of mediums.